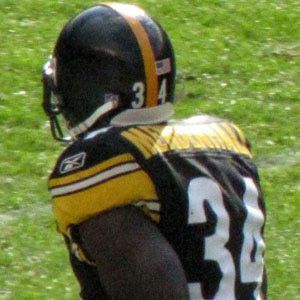 Running back who made his NFL debut in 2008 with the Pittsburgh Steelers, and won Super Bowl XLIII with the team on February 1, 2009; joined the Arizona Cardinals in 2013 after a series of injuries stunted his production with the Steelers. He played college football for the University of Illinois, where he was a first team All-Big 10 selection in 2007, before being selected 23rd overall in the 2008 NFL Draft. His career exploded after his rookie season, as he combined for 2,381 rushing yards and 20 rushing touchdowns in his second and third seasons. His brother, Walter Mendenhall, also played running back in the NFL. As a rookie, he joined a Steelers offense led by quarterback Ben Roethlisberger.